2006 Olympic champion Evgeny Plyuschenko has claimed his sixth European championship and his first gold on the international stage after his sensational return in 2009. After Yuko Kawaguchi and Aleksander Smirnov beat two-time world champions Aliona Savchenko and Robin Szolkowy on Wednesday to give Russia its first European championships pairs title since 2006, it was Evgeny Plyuschenko who drew most of the Russian fans’ attention on Thursday. And the Olympic champion met all expectations. 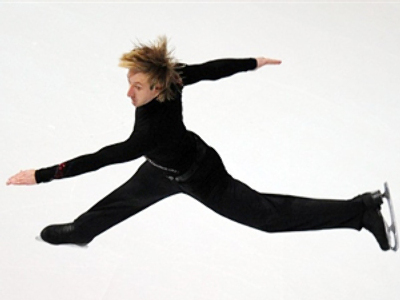 Although he had previously won the short program with a new world record, there was no confidence among experts that the Russian could claim overall victory. 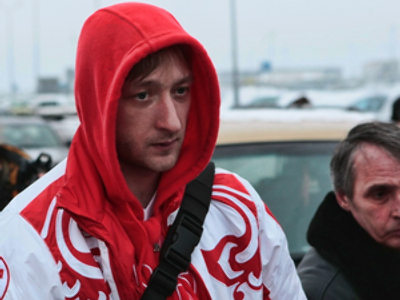 France’s Brian Joubert, who had a more difficult free program, could have overcome the Russian. 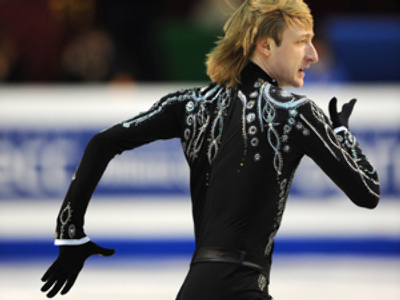 But the Frenchman, skating just in front of Plyuschenko, made few mistakes and found himself third overall. Then it was Plyuschenko’s turn to show off his skills. And the all-star Russian put on a terrific show, proving everyone this evening that he is currently the best. He won the contest with 255.38 points. Swiss Stephane Lambiel, who was second overall, trailed Plyuschenko by almost 17 points.